Give this refreshing and unique fruit salad a try. 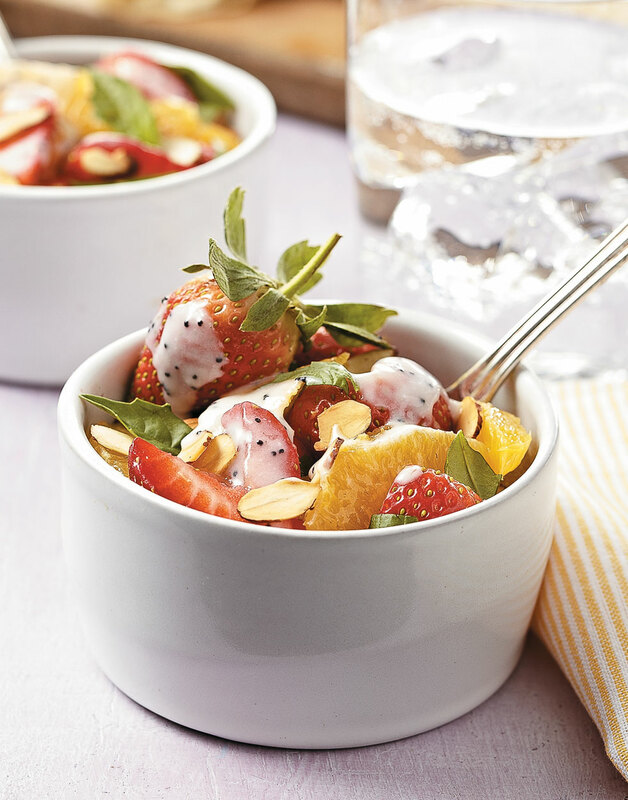 Served with a zesty yogurt dressing and finished with crunchy poppy seeds, this fruit salad is a delicious healthy snack, side dish, or dessert. The leftover dressing tastes great tossed with a spinach salad or served alongside fruit as a dip. For the dressing, whisk together yogurt, oil, honey, zest, lemon juice, and poppy seeds; season with salt. For the salad, toss together strawberries, orange segments, basil, almonds, and ½ cup dressing. Store remaining dressing, covered, in the refrigerator for up to one week.